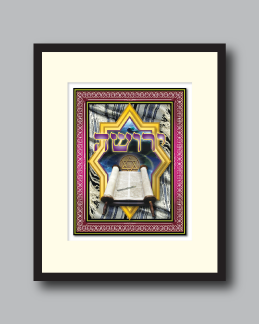 The inspiration for “Legacy” comes from an appreciation for and recognition of the divine gift of the Torah that was bestowed upon the Jewish people at Mt. Sinai. Symbols of this legacy, or in Hebrew “Y'roosha” (ירושה), are represented on all areas of the art piece. 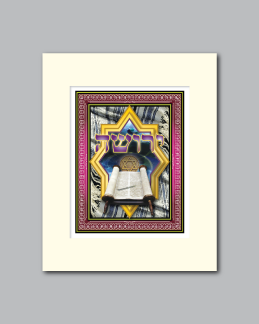 The background depicts a tallit (prayer shawl) that seems to embrace the golden window in the center. This window is the spiritual portal that brings us to communion with G-d through the study and observance of the stories, lessons, and laws of the Torah. 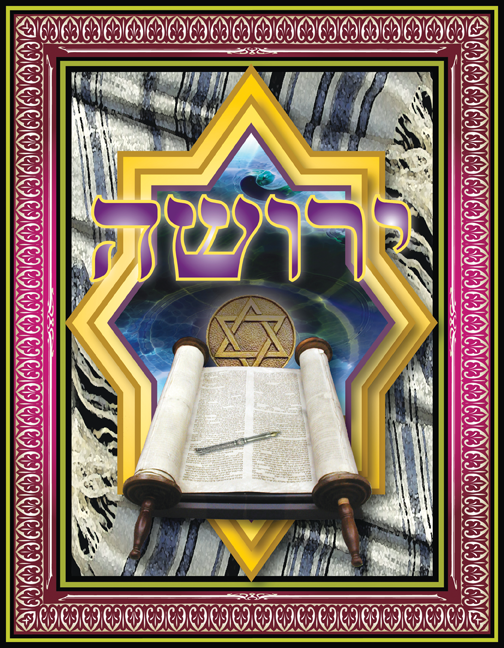 Beyond the image of the sacred scrolls is a Star of David (Mogan David) surrounded by an ethereal halo that stands as the symbol for the omnipotent force of the divine spirit. This art piece pays homage to the great and precious legacy of Judaism that has been passed on from generation to generation, and to the next generation of young adults who choose to accept responsibility and enter into the community of the Jewish people.